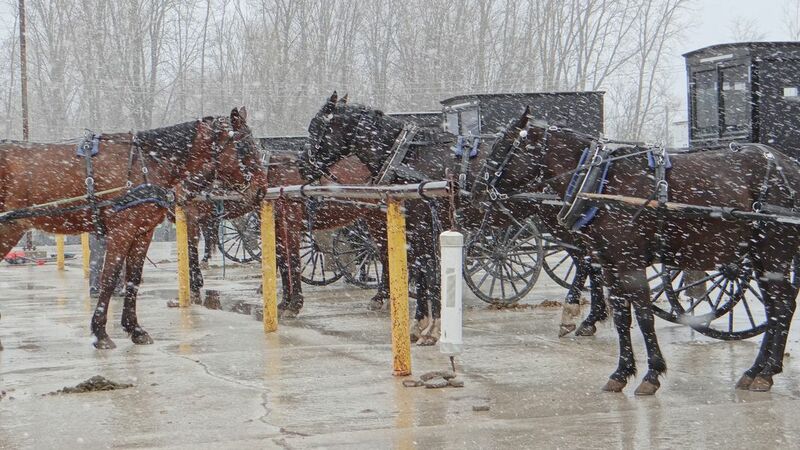 The Amish in Indiana are totally dependent upon their horses and buggies for their local transportation. Here is a hitching rail at a grocery west of Middlebury, Ind. Some might say ..."oh how cruel for them to have to be out in the Weather" but they are farm animals and live outside in much worse weather than this.